AAA today reported it expects 54.3 million Americans to journey 50 miles or more away from home this Thanksgiving, a 4.8 percent increase over last year. This year’s holiday weekend — from Wednesday, Nov. 21 to Sunday, Nov. 25 — will see the highest Thanksgiving travel volume since 2005, with 2.5 million more people taking to the nation’s roads, skies, rails and waterways than in 2017. 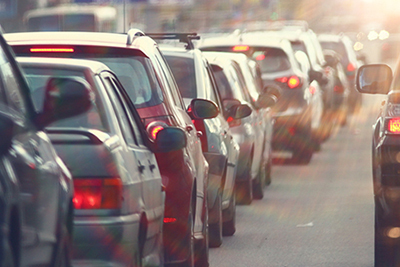 INRIX, a global mobility analytics company, predicts travel times for the 48.5 million Americans planning a Thanksgiving road trip in the most congested cities in the U.S. could be as much as four times longer than a normal trip. The nation’s highways are expected to be busy despite higher gas prices, which are 31 cents, on average, higher than a year ago. “Motorists have become accustomed to this year’s more expensive gas prices and won’t let higher fuel costs deter them from taking Thanksgiving road trips,” says Jeanette Casselano, gas price expert at AAA.